More pet lovers are realizing the need to provide a healthy resting for their pet. Pet care has been elevated on most levels. Pets are being treated as family members more than ever before. Los Angeles, CA, March 26, 2008 -- More pet lovers are realizing the need to provide a healthy resting for their pet. Pet care has been elevated on most levels. Pets are being treated as family members more than ever before. To quote Plato, "The dog has the soul of a philosopher." A dog also has a skeletal and nervous system that needs nurturing and support. About 99% of all dog beds are made from water absorbent, bun foam that offers no obvious support to our pets. Is it price? Is it because we can squeeze more into a shipping container and make it cost effective on a voyage from China. The time has come to rid of homes of bun foam and lumpy stuffed polyester pillows. Our faithful companions deserve a dog bed that is a well-crafted and luxuriously therapeutic snuggler. Finally, a dog bed takes a stand for a dog's well being with plush fabric and soothing, ergonomic comfort that even humans would desire. "The Secure Snuggler is a high-end bed designed to combine, in the words of the designer, "skeletal support, soothing comfort and Lux style." This is an innovative design and an outstanding bed providing custom support from puppy through adult years. The Secure Snuggler is a moisture resistant, minicell bed frame and memory foam mattress wrapped in a cashmere/merino wool blend. This Dog Bed gently soothes the parasympathetic nervous system making way for peaceful sleep and rest. "If it's big enough I might want to curl up for a nap in it". said Chris Adams, About.com Health's Disease, and Condition Medical Review Board. This company has been on an unbridled rampage of communication to pass forward "A Dogs Wish" at www.dogswish.org taking a stand against animal abuse. The Secure Snuggler may have a pricier ticket; it is made in the USA. The company does market themselves as" The Worlds Finest Pet Bed." No argument on that. If you are one of the millions that truly care about your pet as part of your family, you may want to consider checking out The Secure Snuggler Dog Bed by visiting www.securesnuggler.com. Cuddle up with your favorite furry friend for another exciting edition of Pet Ergonomics. In the episode we'll discuss the Secure Snuggler, a new bed for the pet. The Secure Snuggler is a high end bed designed to combine, in the words of the designer, "skeletal support, soothing comfort and Lux style." Basically they designed a good bed for a pet that supports them while sleeping instead of a lumpy bag or bed that provides minimal comfort. The Secure Snuggler is a bed frame supporting a memory foam mattress wrapped in a cashmere/merino wool blend. If it's big enough I might want to curl up for a nap in that. If you're one of the millions of people that view your pet as part of your family you may want to consider dropping the $250+ to give your pet a wonderful night, morning, and afternoon of sleep. well crafted, luxuriously therapeutic Secure Snuggler. providing an exclusive individual support system. foam pedic pillow are covered in a plush blend of cashmere and merino wool providing cozy support and maximum relaxation. patterns. The Secure Snuggler is proudly handmade in the USA and accented with the Royal Bullion Crested Crown logo, which has been the mark of excellence for centuries This "French Poodle of dog beds with the heart of a bulldog illuminates the pet market as the ultimate gift to companion pets. Sounds a bit like singing "Old Macdonald had a Farm" as we talk about sheep and goats being the organic cover manufacturers of this remarkable new dog bed. Without a doubt, we are singing its praises! The time has come for rover to cozy up with Soft Cashmere, Wool blended luxury. Our four legged angels have found doggie heaven, resting for hours within the embrace of this snuggly ergonomic dog bed. The plush memory form pillow conforms to every dog’s individual bone structure while gently soothing the parasympathetic nervous system like a lullaby. The time has come to rid our homes of bun foam and stuffed polyester pillows. Finally, our faithful companions have found a dog bed that is handmade, well-crafted, luxuriously therapeutic snuggler. Happy pet owners fondly refer to the Secure Snuggler as the world’s finest dog bed. This dog bed French Poodle of dog beds, has the heart of a bulldog and illuminates the pet market as a fine bed indeed, worthy of your best friend. When it comes to dog carriers in airports, there are only a few that can be called airline approved dog carriers, and those are the Sherpa dog carriers. Among all the public places, the airport is among the strictest place in the world. But we have to admit; all that things that is happening in our world today have tightened the security of all public places, especially in the airport. But the sad thing about this is that in airports have provided their own airline approved dog carriers for safety precaution purposes. But the thing about those airline approved dog carriers is that those are not as comfortable and as stylish as those luxury dog carriers. As dog lovers, we give everything for our dogs. We provide them the best kind of dog accessories that can make their lives more comfortable. But a stylish, functional, lightweight airline approved dog carriers doesn't exist. That was until someone has though of a way for dogs to have a more comfortable travel than those airline approved dog carriers. Now there is a way for dog owners to get their hands on airline approved dog carriers that looks good and feels good, and those are the Sherpa dog carriers. The Sherpa dog carriers are the only airline approved dog carriers that changed the systems of airports forever. The Sherpa dog carriers are the official soft sided airline approved dog carriers for in-cabin use on the following airlines: Air Canada, Alaska, American, America West, Continental, Delta, Northwest, United and US Airways. The Sherpa dog carriers is also the only airline approved dog carriers recommended for use by veterinarians, the ASPCA, the Delta Society, Humane Society, and many four-footed customers. So if you ever wanted to take your dogs on your travels, then don't hesitate to purchase the only airline approved dog carriers, the sherpa dog carriers. This new little wonder of a dog bed has ergonomic comfort and a pillow-pedic memory foam cushion and conforms to every individual doggie's skeletal structure. Mother Nature and human ingenuity have combined to finally deliver a bed that is worthy of our faithful friends. It makes us wonder who forgot that doggies have bones and muscles too! They grow old with us, comfort us and hop up to high couches and beds just to be close and cuddle. Moreover, what have we rewarded them with? A scratchy cedar or clumpy poly or non-conforming bun foam rubber pillow for them to rest on. Well guess what! Our four legged friends need support and comfort when they are a developing puppy and as they age. Would we want to sleep in beds that are ripped and were thrown out once they were too frayed and finally became too uncomfortable to lay on? Nope! This new little wonder of a dog bed has ergonomic comfort and a pillow-pedic memory foam cushion and conforms to every individual doggie's skeletal structure. Our four legged heroes will enjoy a healthier and happy life within the embrace this well thought out design. The stylish design of this dog bed is an added attraction! The regal colors and patterns are embellished with a Royal Bullion Encrusted logo. A mark of excellence, comfort, and distinction that could not be more deserved for your dog will now adorn your illustrious home. A Cozy Cashmere Dog Bed.....Bow wow! It’s quite possible you will be the one begging to go for a walk once your doggie sinks into the dog bed with ultra ergonomic memory foam pillow. We do not think the jingle of a leash will inspire our faithful friends to jump out of this snuggly bed's embrace. Soothed by the plush cashmere/merino wool blend covers, this parasympathetic delight will entice you’re pet to take extended nap breaks. All that playing, barking, and eating can plum tucker-out a frisky dog! Your pooches will want you to come and sit near them. Forget making life easy for you by jumping up on the couch! Pet Owners have a nice surprise feature about this dog bed. Its stylish design integrates beautifully with home decor complete with rich colors, textures, and patterns. The Secure Snuggler ® is proudly handmade in the USA and accented with the Royal Bullion Crested Crown logo, the mark of excellence for centuries. Your pets are guaranteed a royal touch. It is up to you to find the royal treat to bribe your prince or princess off the throne! Forget making life easy for you by jumping up on the couch! The time has come for rover to cozy up with Soft Cashmere, Wool blended luxury. Our four legged angels have found doggie heaven, resting for hours within the embrace of this snuggly ergonomic bed. The plush memory form pillow conforms to every dog's individual bone structure while gently soothing the parasympathetic nervous system like a lullaby. The illustrious classic design and an array of stylish colors enhance tasteful home décor. A Royal Bullion Encrusted Crown logo proclaims the arrival of the most innovative source for peace and comfort ever designed with a dog's wish in mind. The time has come to rid our homes of bun foam and stuffed polyester pillows. 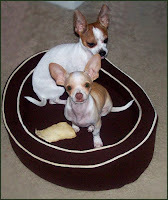 Finally, our faithful companions have found a dog bed that is handmade, well-crafted, luxuriously therapeutic snuggler. Happy pet owners fondly refer to the Secure Snuggler as the world's finest dog bed. This dog bed French Poodle of dog beds, has the heart of a bulldog and illuminates the pet market as a fine bed indeed, worthy of your best friend. Now as a living being that walks this earth, injuries can come upon us whether we like it or not. Now as a living being, not as human, getting injuries can lead us to a lot of pain, much like what animals can also feel. When we get injured, the first place that we go is on a hospital then we seek help from a physician. But when an animal such as a dog gets injured, as responsible pet owners it is our responsibility to take them to veterinary clinic then place them under the care of a veterinarian. Hospitals offer their own specialized beds for patients to rest in when they get admitted for injuries. Just like the hospitals, a veterinary clinic also provides their own specialized dog beds for injured dogs, which are called orthopedic dog beds. Now, orthopedic dog beds are specialized dog beds for dogs that suffered from an injury and needs to a long bed rest. It supports every inch of the dog’s body making sure that they can get comfortable. Though orthopedic dog beds are commonly seen on a veterinary clinic, orthopedic dog beds can also be bought on some shops so owners could take care of their injured dogs at home. Now there are a lot of orthopedic dog beds that owners can choose from, there are some small and big orthopedic dog beds, designer orthopedic dog beds, heated orthopedic dog beds, large or extra large orthopedic dog beds, some discounted orthopedic dog beds, the bolster or donut shaped orthopedic dog beds, memory foam orthopedic dog beds, some wicker orthopedic dog beds, wooden orthopedic dog beds, kuranda orthopedic dog beds, suede orthopedic dog beds, and many more orthopedic dog beds. The Secure Snuggler ® by Cashmere Co.is by far the best. So whenever you want your dogs to get back to their feet fast, then the only way would be providing them with some orthopedic dog beds paired with your utmost care and love. Cashmere luxury dog beds are an absolute luxurious item in the house. It does not only serve as a dog bed for dogs but also a decorative, with its elegant designs. Do you belong on the middle class or the higher class of the society? Do you like luxurious items? How stupid of me on asking you that, of course you are! Well how about this, do you have a dog? Well this is perfect then, because I am here to give you some tips on how to find some of the luxury dog beds out there. Firstly, have you heard of the Cashmere luxury dog beds? If you are a luxurious person with a dog then you should know what Cashmere luxury dog beds are. Now where to get some of that luxury dog beds can be a little hard, that is why I am here to assist you on where to get some of those luxury dog beds such as the Cashmere luxury dog beds. Well the only way to get yourself some that luxury dog beds is to go online and then visit Friends of Cashmere. The Friends of Cashmere is an online dog accessory shop that excels in selling luxury dog beds such as the Cashmere dog beds. Friends of Cashmere are the only online Luxury Pet Boutique dog accessory shop that sells many designs of Cashmere dog beds. The beds are named “Windsor Castle Royal" luxury dog beds, “The Classic” luxury dog beds, “The Scottish Inn” luxury dog beds, “The Gramercy Park” luxury dog beds, “Chateau Marmont Pooch” luxury dog beds, “Madona Inn” luxury dog beds, “Dakota Day’s” luxury dog bed, “The Venetian” luxury dog bed, and many more forms of Cashmere luxury dog beds. So if you are a luxurious person with a luxurious dog then the Cashmere luxury dog beds is perfect for you and your dog. If you want more information on Cashmere luxury dog beds then visit Friends of Cashmere . Like some humans that violate the rights of men, there are also some humans that violate the rights of animals, which is why animal charities have been formed to protect and preserve animals from humans that violate the rights of animals. The word charity means giving some help to those that are in need of it. These kinds of people sometimes form a group that we call a charity or a charitable organization. A charitable organization (also known as a charity) is an organization with charitable purposes only. But charities are not only founded to help only humans, there are also some charities that help animals that are in need. Among all the countries, the US holds the most number of animal charities that protects and preserves the rights of animal from harm. And in Los Angeles alone, animal charities can be seen throughout the state. Among the many animal charities Los Angeles are the Greater Los Angeles Zoo Association or commonly known as the GLAZA animal charities Los Angeles, Last Chance for Animals or commonly known as the LCA animal charities Los Angeles, and the Orangutan Foundation International or commonly known as the OFI animal charities Los Angeles. Last Chance for Animals or more commonly known as the LCA is also among the many animal charities Los Angeles that recognizes that animals have the ability to experience pain, and as such they deserve certain basic rights protecting them from pain caused by humans. The Orangutan Foundation International or more commonly known as the OFI is also part of the growing animal charities Los Angeles that was founded to support the conservation and understanding of the orangutan and its rain forest habitat while caring for ex-captive individuals as they make their way back to the forest. The Greater Los Angeles Zoo Association or most commonly known as the GLAZA is one of the many animal charities Los Angeles that was created to support the Los Angeles Zoo in its mission to nurture wildlife and enrich the human experience. GLAZA's primary responsibility is to seek and provide financial support for the Zoo's programs and capital projects. GLAZA provides support through fundraising, membership, organizing special events and travel programs, producing award-winning publications, coordinating one of the largest zoo volunteer programs in the country, administering the contract for visitor services concessions within the Zoo, and supporting community relations, and public relations. So if you ever wanted to protect the rights of animals to live a life of comfort and not of harm, always remember that these kinds of charities are willing to accept any kind of help or support that you can provide them. Discounts are great, with discounts you can buy anything that you want and spend less. Discounts can be even more fun when expensive and luxury items are discounted to be more affordable than its original price. So when it comes to dog beds, it’s a very blissful feeling in hearing some discount dog beds. We all know that dog beds are a very expensive type of dog accessory, which is why some dog accessory shops and specially those online dog accessory shops provides their customers with some discount dog beds. The word discount is different than the word cheap. Cheap items can sometimes be an imitation of the original and then marketed with reduced price, but discounted items still retains it’s originality with half of its original price, which is why discount dog beds are the best way to get your dogs some quality dog beds for just half the price. Some dog accessory shop especially those online dog accessory shops can provide their customers with different collections of discount dog beds such as large discount dog beds, orthopedic discount dog beds, small discount dog beds, even some luxury discount dog beds, round discount dog beds, extra large discount dog beds, outdoor discount dog beds, heated discount dog beds, memory foam discount dog beds, wicker discount dog beds, personalized discount dog beds, wooden discount dog beds, fleece discount dog beds, suede discount dog beds, foam discount dog beds and many more discount dog beds. So if you want to be a little practical with purchasing some dog beds, then there are a lot of dog accessory shops out there that can provide you with some discount dog beds. "I think that the Secure Snuggler® bed is a fabulous addition to our unique product line. Luxury at a price that is affordable is what everyone is looking for. I, they, we have found it!" "The Secure Snuggler® The Worlds Finest Pet Bed as perfect for a newborn baby as it is for your beloved dog." United States of America (Press Release) March 12, 2008 -- "You cannot go wrong with Cashmere; our customers love The Secure Snuggler," Modern Dog, Venice Beach CA. The Secure Snuggler® The Worlds Finest Pet Bed is proudly handmade in the USA with an Italian Cashmere and Merino Wool chosen to give your dog a cozy sense of well being. The Secure Snuggler® is designed for the ultimate ergonomic comfort of your pet. Our memory foam pillow, and revolutionary bed frame is firm at the same time soft for the ergonomic comfort, ensuring a soothing effect on the Para-Symmetric nervous system of your pet. Sherwin Ross who after a year of working with Jeff Rudes, of J-Brand Jeans, developing a 100% Cashmere Dog bed realized that time had come to take a stand for products that would not be high maintenance for the elite few. At the same time, Sherwin had the nagging question, "Would people sleep on what is offered today for their own pets?" Thus, the birth of the Secure Snuggler, as perfect for a newborn baby as it is for your loving pet. Through trial and error, we have produced a luxury product at a moderate price point. The research and creation of The Secure Snuggler® has succeeded in cutting the costs of The Cashmere Classic 100% Cashmere bed by 60%. The Secure Snuggler boasts a beautiful bullion crested crown, a carry bag and a spectacular artisan ship that make this Luxury Dog Bed outstanding. The Secure Snuggler® is proudly handmade in the USA with an Italian Cashmere and Merino Wool chosen to give your dog a cozy sense of well being. This classic Dog bed is designed for the ultimate ergonomic comfort of your pet as well as a luxurious piece of furniture that will sit in any room of any fine home and become a conversation peace. The Secure Snuggler® dog bed comes in two sizes, Classic (23” x 17” x 6”, MSRP $249.99 and The Toy (19.5” x 14” x 5”, MSRP $199.99). There are nine attractive color combinations to choose from. The bed’s design provides “man’s best friend” with the greatest comfort, while adding a classy and fashionable design element to any room. Cashmere Co. secure snuggle pet beds are will be available at high-end department stores, luxury hotels, and pet retailers that cater to the discriminating buyer and his or her pets. Founded in 2007 The Secure Snuggler ® by Cashmere Co. is dedicated to producing pet products that any four-legged friend will love. The Secure Snuggler® promises companion animals the most comfortable pet bed they have ever stepped their paws in. The Cashmere Dog Bed with memory foam offers ergonomic and orthopedic support is now available. The Secure Snuggler® is proudly handmade in the USA with an Italian Cashmere and Merino Wool chosen to give your dog a cozy sense of well being. The Secure Snuggler® is designed for the ultimate ergonomic comfort of your pet. More Details about small business marketing here. Los Angeles, CA. March 10, 2008: Sherwin Ross, partner of Cashmere Co. announced today the release of "The Secure Snuggler®." He explains, "The reason we created The this luxurious dog bed and to meet the challenges of today's economy, a luxury dog bed is produced at a moderate price point. The research and creation of The Secure Snuggler® has succeeded in cutting the costs of The Cashmere Classic 100% Cashmere bed by 60%. The Secure Snuggler boasts a beautiful bullion crested crown, a carry bag and a spectacular artisanship that make this Luxury Dog Bed outstanding. The memory foam pillow, and revolutionary bed frame is firm at the same time soft for the ergonomic comfort of your pet, ensuring a soothing effect on the para-symmetric nervous system of your pet. The time has come for someone to take a stand for our pets rather than imposing the shipping, storage, and poor quality of bedding that has been imposed thus far. Would you sleep on what is offered today at retail levels? The Secure Snuggler is as perfect for a newborn baby as it is for your loving pet. "You cannot go wrong with Cashmere; our customers love The Secure Snuggler," Modern Dog, Venice Beach CA. The Cashmere Dog Bed with memory foam and ergonomic support is now available. March 15, 2008 Los Angeles, CA:The Secure Snuggler ® by Cashmere Co. was created by Sherwin Ross who after a year of working with Jeff Rudes, of J-Brand Jeans, developing a 100% Cashmere Dog bed realized that time had come to take a stand for products that would not be high maintenance for the elite few. Sherwin had the nagging question, "Would people sleep on what is offered today for their own pets?" Thus the birth of the Secure Snuggler, as perfect for a newborn baby as it is for your loving pet. Through trial and error we have produced a luxury product at a moderate price point. The research and creation of The Secure Snuggler® has succeeded in cutting the costs of The Cashmere Classic 100% Cashmere bed by 60%. The Secure Snuggler boasts a beautiful bullion crested crown, a carry bag and a spectacular artisan ship that make this Luxury Dog Bed outstanding. Our memory foam pillow, and revolutionary bed frame is firm at the same time soft for the ergonomic comfort of your pet, ensuring a soothing effect on the para-sympathetic nervous system of your pet. The bed comes in two sizes, toy (19.5"x14"x5", MSRP $199.99) and small (23"x17"x6", MSRP $249.99), and nine attractive color combinations. The bed's design provides "man's best friend" with the greatest comfort, while adding a classy and fashionable design element to any room. Cashmere Co. secure snuggle pet beds are will be available at high-end department stores, luxury hotels, and pet retailers that cater to the discriminating buyer and his or her pets. Founded in 2007 The Secure Snuggler ®by Cashmere Co. is dedicated to producing pet products that any four-legged friend will love. The Secure Snuggler® promises companion animals the most comfortable pet bed they've ever stepped their paws in. Los Angeles, CA. March 10, 2008: Sherwin Ross, partner of Cashmere Co. announced today the release of "The Secure Snuggler®." He explains, "The reason we created The Secure Snuggler® is to meet the challenges of today's economy. We have produced a luxury product at a moderate price point. The research and creation of The Secure Snuggler® has succeeded in cutting the costs of The Cashmere Classic 100% Cashmere bed by 60%. The Secure Snuggler boasts a beautiful bullion crested crown, a carry bag and a spectacular artisanship that make this Luxury Dog Bed outstanding. Our memory foam pillow, and revolutionary bed frame is firm at the same time soft for the ergonomic comfort of your pet, ensuring a soothing effect on the para-symmetric nervous system of your pet. Living in Paris, France for 9 years made a very big impact on the entrepreneurial spirit of Sherwin Ross. While his skills as a saucier, guarde mange, and grill chef were promising, and his role as Berger in the 20th Anniversary tour of "HAiR" was a big hit, it was obvious Ross was destined for more. He had enough of asking his boss for time off to go to an audition, and his Berger hair was getting out of control. 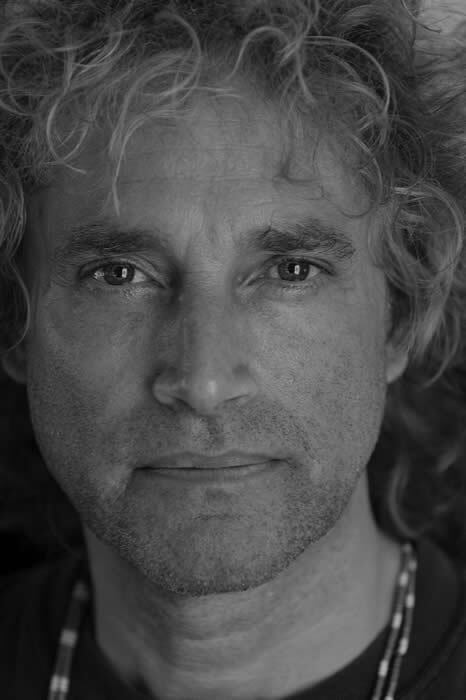 Sherwin's recording career and studies at the Lee Strasberg Institution and Stella Adler led to a starring role as "Berger" in the 20th anniversary stage production of the American Tribal Love Rock Musical, "HAiR" . “Sherwin was a truly wonderful Berger - he "got it" in a way many who play the role don't. In fact, when I show tapes of contemporary productions to visitors at the Archives I show Sherwin’s Berger as the definitive one from a post Broadway production”. Nina Dayton, curator of the HAiR® Archives. Gerome Ragni stated "Ross is one of the best Berger's ever to hit the boards." More Details about small business marketing here. Your Dog is ready for a luxurious Cashmere Bed with a Memory Foam pillow By Cashmere Co.
" The Secure Snuggler® is proudly handmade in the USA with an Italian Cashmere and Merino Wool chosen to give your dog a cozy sense of well being. The Secure Snuggler® is designed for the ultimate ergonomic well being for your pet. " The Luxury Pet product market is exploding with creativity. The Secure Snuggler® by Cashmere Co. is born of inspiration and out of love for our precious pets. The Secure Snuggler® is proudly handmade in the USA with an Italian Cashmere and Merino Wool chosen to give your dog a cozy sense of well being. The Secure Snuggler® is designed for the ultimate ergonomic comfort of your pet. Los Angeles, CA. March 10, 2008: Sherwin Ross, partner of Cashmere Co. announced today the release of “The Secure Snuggler®.” He explains, "The reason we created The Secure Snuggler® is to meet the challenges of today’s economy. We have produced a luxury product at a moderate price point. The research and creation of The Secure Snuggler® has succeeded in cutting the costs of The Cashmere Classic 100% Cashmere bed by 60%. The Secure Snuggler boasts a beautiful bullion crested crown, a carry bag and a spectacular artisanship that make this Luxury Dog Bed outstanding. "You cannot go wrong with Cashmere; our customers love The Secure Snuggler,” Modern Dog, Venice Beach CA. Do you know what cashmere is? Well the cashmere is among the items that are considered a luxury item. Much use the cashmere on the creation of scarves, turban, pillowcase and many more, but do you know where the cashmere came from? Like the fleece, Cashmere fiber is a fiber obtained from the Cashmere goat and is also known as Pashmina. The name derives from an archaic spelling of Kashmir. It is sometimes incorrectly applied to any extremely soft wool regardless of origin. Cashmere is characterized by its luxuriously soft fibers. In order for a natural goat fiber to be considered Cashmere, it must be under 18.5 micrometers in diameter and be at least 3.175 centimeters long. It is noted as providing natural lightweight insulation without bulk. Fibers are highly adaptable and are easily constructed into fine or thick yarns, and light to heavyweight fabrics. But other than pillow cases or scarves, cashmere can also be seen on dog beds called a Cashmere dog bed, and this was the idea of a couple that decided to put their entrepreneurial spirit to the test when six months prior, one night - after noticing that every cashmere item of theirs they left around the house attracted their beloved little dogs, DALI & JEZEBEL, like magnets - it dawned on them, what if we made Cashmere dog bed. Six months later, here they are, bringing their love, passion and talent to life - a Cashmere dog bed at home, one that DALI and JEZEBEL won't leave, and Cashmere Co. dog beds are available for all dogs. Cashmere Co. dog beds are dedicated to DALI & JEZEBEL, our Inspiration. The Cashmere Co. dog bed excels in selling different kinds of Cashmere dog bed such as the "Windsor Castle Royal" royal blue with heather piping Cashmere dog bed, "The Classic" black with heather grey piping Cashmere dog bed, "The Scottish Inn" hunter green with beige piping Cashmere dog bed, "The Gramercy Park" chocolate brown with banana piping Cashmere dog bed, "Chateau Marmont Pooch" red with baby pink piping Cashmere dog bed, "Modonna Inn" pink with baby pink piping Cashmere dog bed, "The Little Fall Inn" charcoal heather grey with light heather grey piping Cashmere dog bed, "Polo Lounge Paw", heather grey with charcoal grey piping Cashmere dog bed, "Furberry Friends Inn" beige with chocolate brown piping Cashmere dog bed and many more Cashmere dog bed. For more information regarding The Cashmere Co. Cashmere, dog beds then visit http://www.friendsofcashmereboutique.com. for no heart in all the world is more grateful for kindness than the loving heart of me. your patience and understanding will more quickly teach me the things you would have me learn. Speak to me often, for your voice is the world's sweetest music. As you must know by the fierce wagging of my tail when the sound of your footsteps fall upon my waiting ears. I ask no greater glory than the privilege of sitting at your feet beside the hearth. Feed me clean food that I may stay well. should your life be in danger. when I am very old and I no longer enjoy good health, hearing, and sight, do not make heroic efforts to keep me going. I am not having any fun. Please see to it that my life is taken gently. I shall leave this earth knowing with the last breath I draw that my fate was always safest in your hands. Los Angeles, February 24th 2008 - TALL TAILS Wanting to "fit" in at the Los Angeles, Luxury Pet Pavilion Show, GIBSON, the world's largest dog wishes for a large size version of "The Secure Snuggler" by Sherwin Ross. Gibson is given sweet consolation by MacKenzie Mauzy, 2008 Emmy Award Nominee from The Bold and the Beautiful. Having rescued her own sweet pet Darcy, Mauzy is looking forward to working with Gibson’s “Angel on a Leash Foundation. She was supporting his cause at the Friends of Cashmere station during the show. THE LITTLE BED THAT COULD…………. The Secure Snuggler is born of inspiration and out of love for our precious pets. The Snuggler is proudly handmade in the USA with quality materials chosen to give your dog a cozy sense of well being. We, at Secure Snuggler, have designed the ultimate ergonomic comfort with plush rich fabrics and Lux appeal. The walls of the Secure Snuggler are made from an expensive material that is firm for comfort at the same time soft. and The luxurious memory foam "pedic pillow" conforms to your dog's skeletal structure, insuring individual support and maximum rest.